After an unexpected hiatus of two months, we are back with yet another traditional recipe for Indian Cooking Challenge. This month it’s a baked dish from the Hyderabad Cuisine. 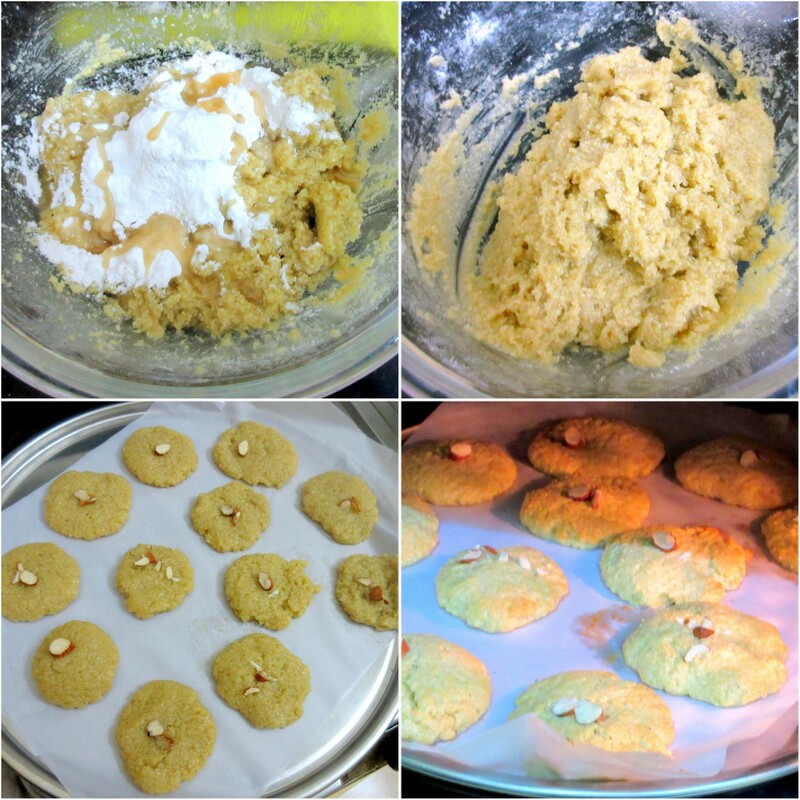 I have adapted the recipe from Zaiqa. 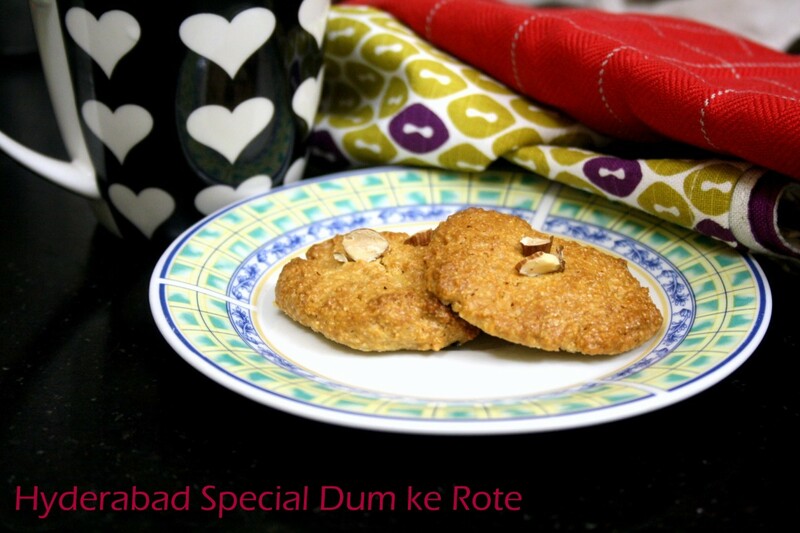 Its called the Dum ke Rote or Baked Sweet Semolina flat breads. 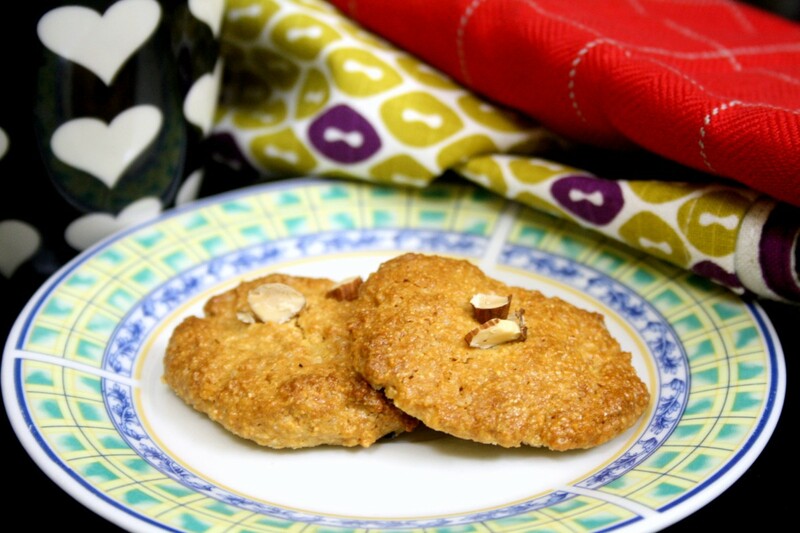 Mona says these rote (also referred to as roat), are baked/cooked on dum, that are sweet and crunchy semolina flat cookie sort of delicacies made especially in Hyderabad city. These are deliciously crunchy from the outside, but soft in the center. This confection has the all goodness in them, including exotic saffron, nuts, khoa and glorious ghee. She used her friend Saba’s recipe. I have made with one cup of each and still landed with huge amount of rote. Even though I had enough time for this, I still ended up making it at the last moment. And for this post, I made the first batch and chilled the rest of the batch. The final baked cookie was so crunchy and delicious. Please check my notes for the version I made. Soak the almonds and pistas together in cool water overnight. Next day peel the skin and keep aside. In a mixer, take the nuts, add 1/2 cup warmed milk and blend to a smooth paste. Add the khoya and the remaining warmed milk and blend to a smooth paste. 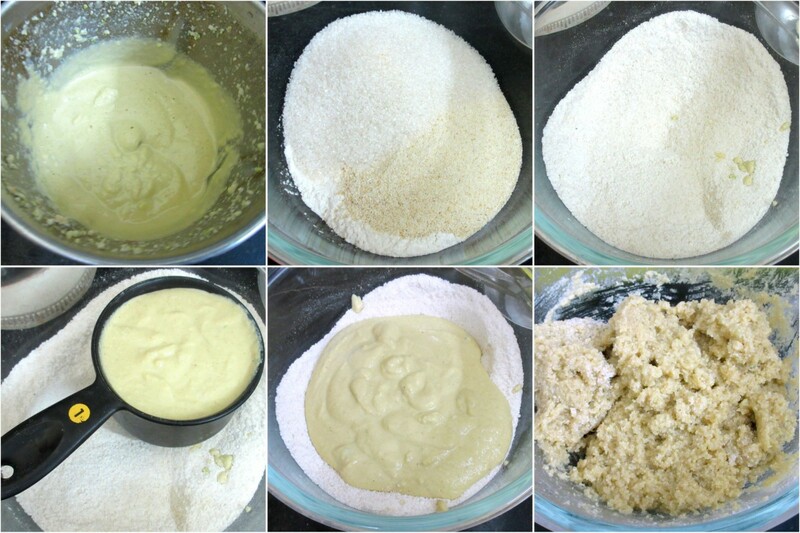 In a mixing bowl, add semolina, all-purpose flour, sugar, baking powder and cardamom powder. Mix well. 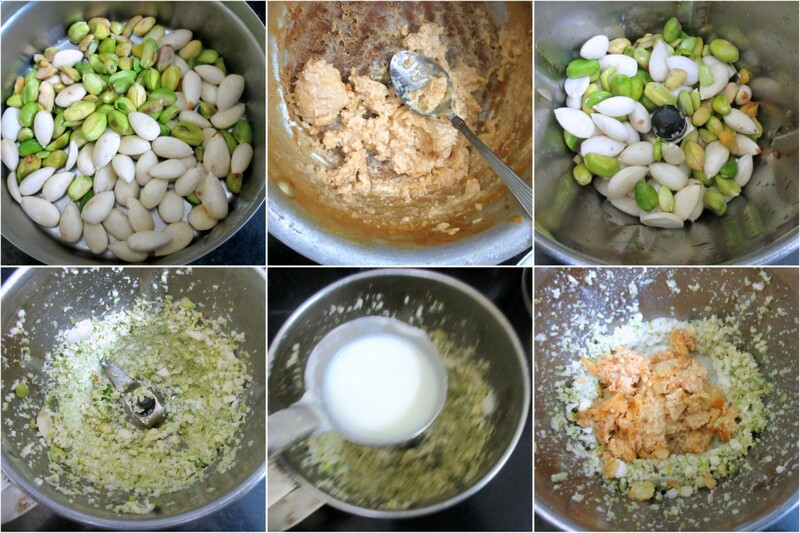 Now add the nuts paste along with ghee and mix well. Knead to form a dough. Cover and keep aside for 1 hour for it to rest. Later, knead again until dough is pliable and cover again and let rest for 1 more hour. Preheat oven to 185 C. Knead the dough again, it will be sticky, grease your palm with ghee and flatten them into discs (approx 6 inches in diameter) and arrange on greased foil lined baking sheets leaving 2 inch space all around each of the discs. Gently press few sliced almonds on top of each disc. Place the baking sheets in the oven and bake for 10-15 minutes or until the sides and base are nicely browned. Immediately switch to broil on low setting for 2-5 minutes until the tops are browned and the nuts are toasted. Allow to cool. Remove the baking sheets from the oven. Allow it to cool on wire rack for 5 minutes. Store in an air tight container at room temperature. I soaked as much as nuts as given in the original recipe. I realized later that 3 cups of each will result in too many cookies. I made cookie size of about 3 inch diameter. The cookies are very filling. The semolina I used wasn’t very fine and you get to feel in when you bite in. You can grind if you don’t get very fine rava. I baked it in pre heated oven at 185 C for 25 mins. I started baking from 15 mins, increased to another 10 mins. Total 25 mins of baking. 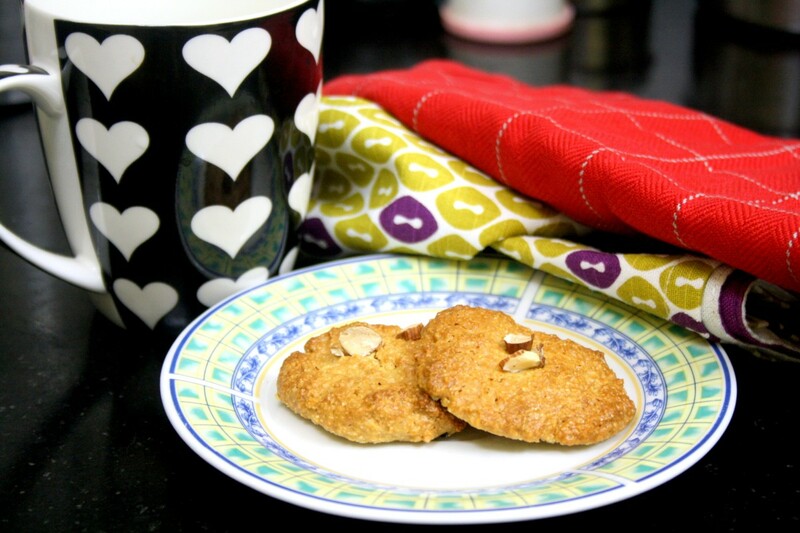 The cookies are chewy and very rich with so much of nuts and khoya. 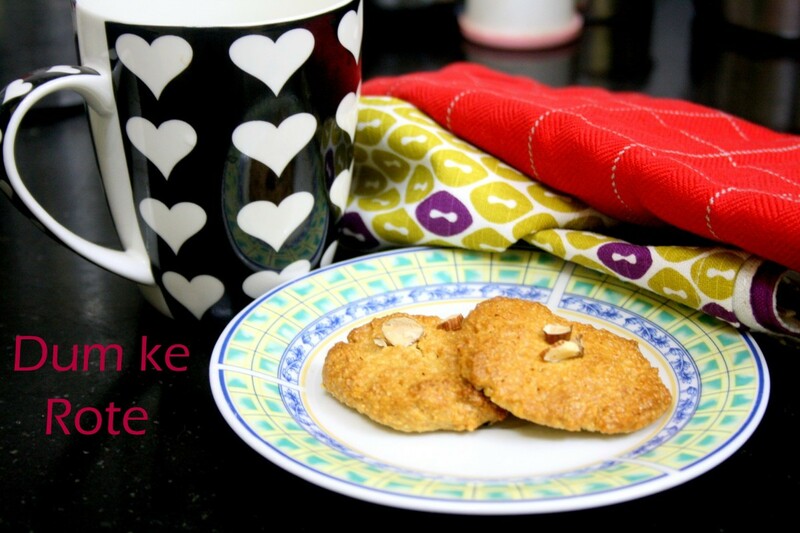 Yummy looking cookies Valli. Even with so much time I missed the deadline. Hopefully I'll get to make these some time soon.